It is October, and for many of us that means pumpkins, leaves, more pumpkins, autumn, more pumpkins (really, though)…… and also, for some, Halloween! 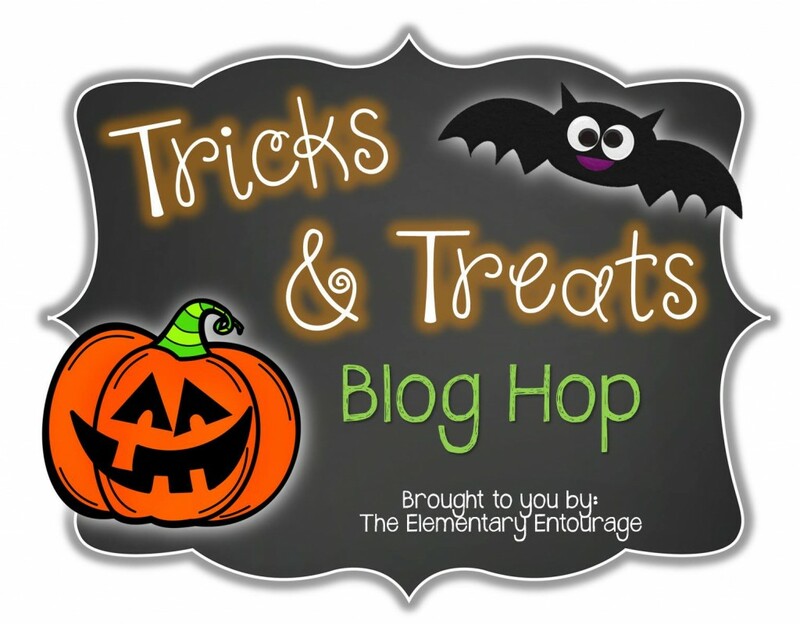 Whether you celebrate Halloween or not, The Elementary Entourage has some fabulous tricks and treats that you will definitely want! First up is your teaching trick! I promise this isn’t a mean one – you will love it! 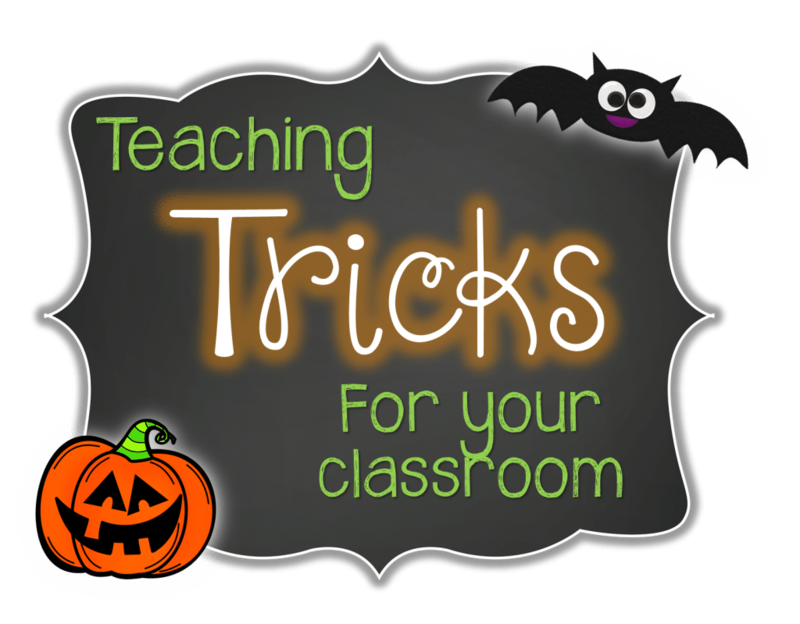 This is a small but mighty trick that saved my sanity when it came to small group work and classroom activities. Here is is for you in 8 words…. 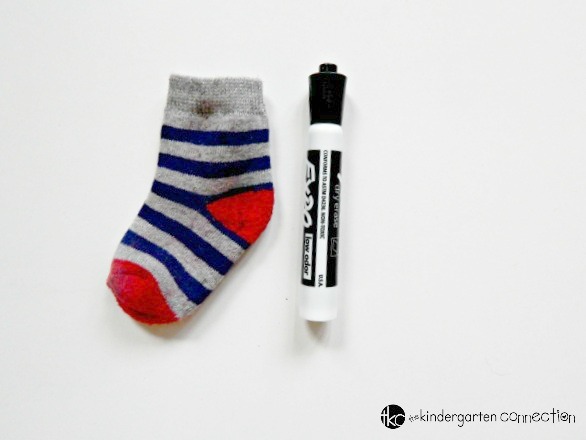 Put a dry erase marker in a baby or kid sock!. Instant storage and eraser! 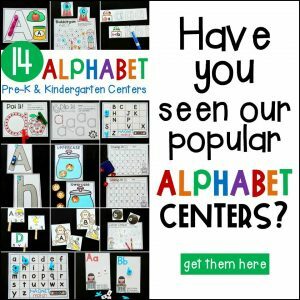 No more kids saying “where is my marker?” and “I don’t have an eraser” or wiping their boards with their hands, or sleeves, or even their face… because, well, sometimes things like that happen in kindergarten. When you are done using your whiteboard, simply erase it and tuck the marker back into the sock! I keep them in all of our game bins or math workshop bins. 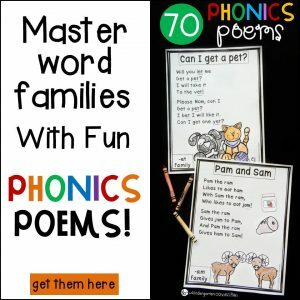 I am also planning on having each child have one in their book box for their word work. 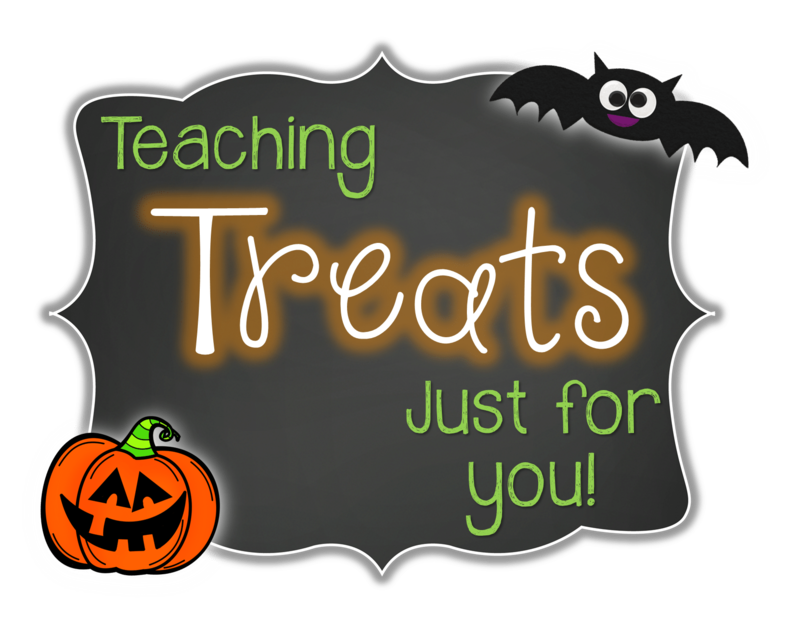 For your treat, download this super fun, fall themed roll and color game! 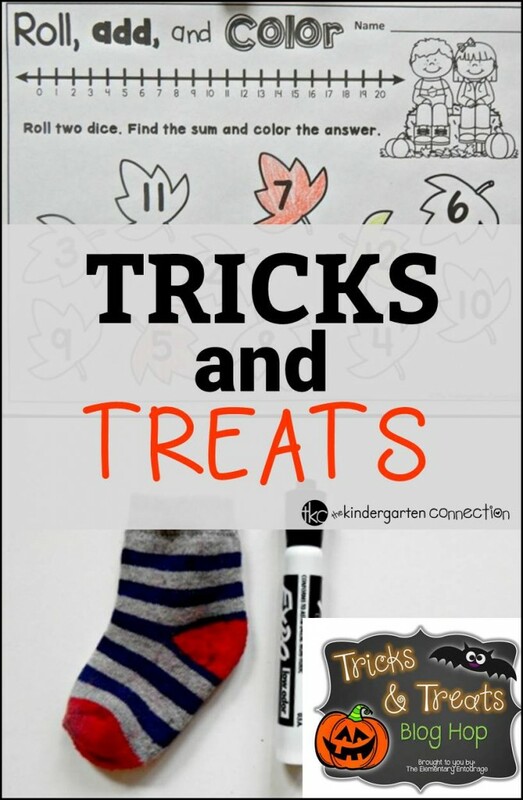 This game is perfect for kids that are working on beginning addition. They roll two dice (dotted or numbered depending on the level of difficulty you want), add them together, and color the sum! There is also a number line for support if needed. 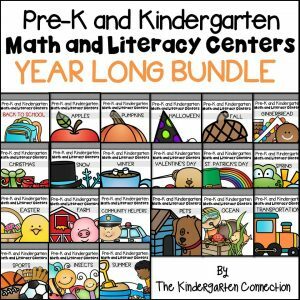 You can find roll and color games for number id, addition, and subtraction for the entire YEAR in the complete set, Roll and Color Games for the Year. 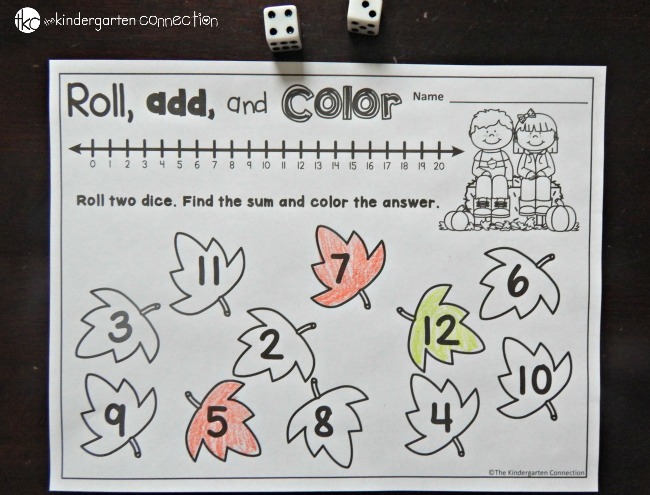 You can grab your free copy of this fall roll and color game HERE. Then, learn more about our classroom harvest party and check out more free fall printables! 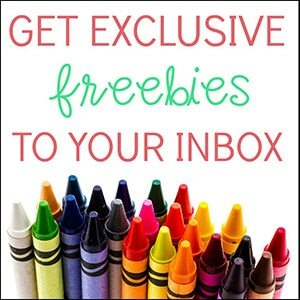 For even more teacher tricks and great freebies, check out all of the other posts from the teacher bloggers listed below! Great tip – in just 8 words! Ha! Excellent advice. Off to the dollar store to buy more socks! Thank you! I need to get more too. 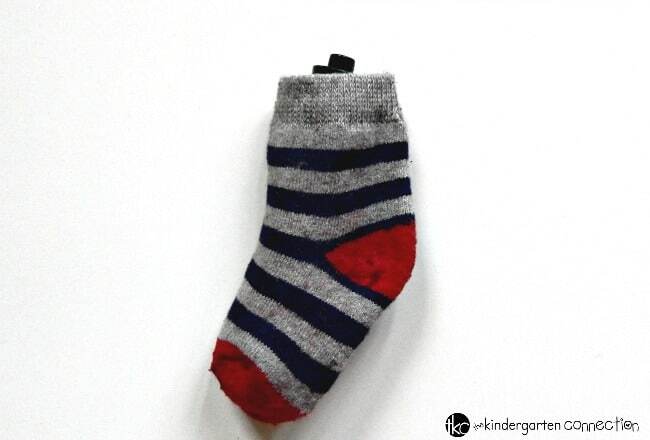 I think socks disappear at school just like at home – ha! 🙂 But we have managed to keep most of them – putting the markers inside definitely helps! The sock storage and eraser is a total lifesaver! I will never use anything else again.